Las Vegas, 1 March 2018 – Airbus Helicopters has signed the first order for four ACH160s with an undisclosed, North American customer. The launch customer, a major US business entity with extensive experience in corporate aviation, has opted for one aircraft to be delivered in Stylence by ACH configuration, the in-house, private and business design product line; with the remaining three aircraft to be delivered in ACH Exclusive configuration, the select design product line which allows the highest level of customisation and bespoke craftsmanship. “With the launch of Airbus Corporate Helicopters (ACH) last year, now followed by the first order of this new generation helicopter by a corporate customer, the ACH160 is set to revolutionise the way our private and business aviation customers travel,” said Ben Bridge, Executive Vice President Global Business at Airbus Helicopters. Although the ACH160’s cutting-edge design and technology provides passengers with a truly business jet-like passenger experience, it was the low external sound levels, witnessed during a flight demo at the company’s headquarters in Marignane, France, which helped the customer commit to an order for four aircraft. The ACH160 represents a step-change in passenger experience with its panoramic views, low sound levels, smooth flight even at high speeds, and the high-quality, ACH interior fits and customisation options that meet the high standards of private and corporate customers. 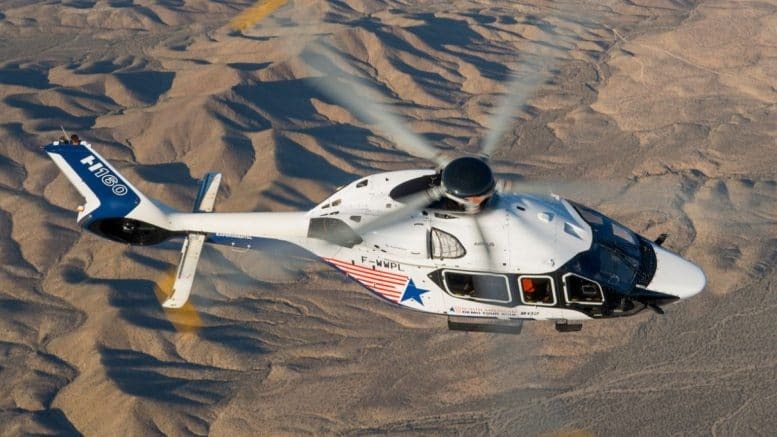 Be the first to comment on "First H160 orders for the North American market"